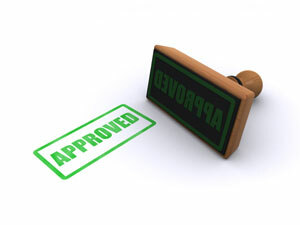 When you are finally approved for the loan you will receive a commitment letter with the loan amount, an expiration date, locked in rate, property address and term. Once you had received your commitment letter you will want to send it over to your attorney for review. Once you had follow up with the attorney in a day or two, your loan officer and your attorney will go over the details with you on the commitments terms. Warning: Make sure you read the last page of the commitment letter, for this is where you will find any outstanding conditions that were required by the underwriter. Make sure you meet ever condition to the detail, to get the final approval to close.